Today I'm pleased to welcome my friend, the very talented Hilary Grossman. She recently published Plan Bea, and she was good enough to stop by as my first guest of 2016. Change the Word: What was your inspiration for writing Plan Bea? Hilary Grossman: My good friend and neighbor lost his wife to Cancer a few years ago. About a year after she passed away he met and fell in love with another woman. At first, it was difficult for me to see him with her. But as their relationship developed I witnessed changes in him. He took up new hobbies and seemed happier than I ever saw him. Their relationship got me thinking about the power of second chance romance. Could falling in love allow a cold, stubborn, and selfish women open her heart back up to her family? CTW: Which character in this book would you most like to grab a happy hour drink with and why? CTW: What was your favorite part about telling this story? HG: I have two. I loved the dysfunctional relationship that Annabel and her mother Beatrice had. 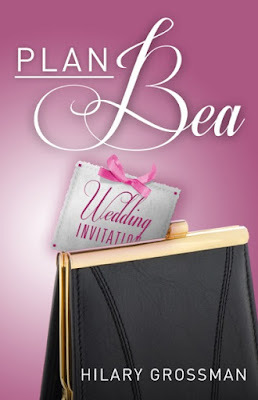 I enjoyed creating Bea, who really is an unlikeable woman. But overtime, both women grow and evolve. I loved seeing the change in them. Some of what happened to them I didn’t see coming. Also I love the twist ending. Truth be told, I came up with the end first and then had to figure out the beginning and the middle. CTW: What is the biggest challenge you face as a writer and how do you overcome it? HG: Um… I guess I am more laid back than I thought. All I really need to write, besides my computer obviously, is a bottle of water. I love it if my cat, Lucy, keeps me company. But usually she prefers to bird watch or nap in a different room. CTW: Where do you draw motivation to keep writing? HG: Reviews and reader’s feedback motivates me to keep writing. Nothing means more to me then when someone reaches out to me to discuss one of my books or share a story about how their lives were similar to one of the stories. Also, I find writing very soothing. When I am under stress, writing is often the only thing that calms me down. CTW: What has been the best lesson you've learned since publishing your first novel? HG: The best lesson I have learned is to not be afraid to ask for help and ask questions. I am blown away by how supportive authors are with their time and knowledge. CTW: What is one piece of advice you would offer an author just starting out? HG: The advice I would give is to develop a thick skin. When you write a book, you need to be prepared for the fact that not everyone is going to love your work, your characters, or your story. Sometimes reviews can really hurt, and you will want to run into the bathroom, cry and never write again. But don’t let them get to you. Everyone is entitled to his or her own opinion, and just because one person didn’t love your work doesn’t mean there is something wrong with it. After all, books are like food. Just because I love super spicy food doesn’t mean there is anything wrong with someone who prefers their food mild. CTW: What is one resolution or goal you have for the new year? HG: My resolution is the same one I have had for the last few years… Hopefully one day I will accomplish it. I am going to try and not sweat all the small stuff. I take things a bit too seriously and put unneeded extra pressure on myself. Could falling in love allow a cold, stubborn, and selfish woman to open her heart back up to her family? On the outside, Annabel O'Conner has it all - the perfect husband, two adorable children, and an amazing job. The only thing missing is her mother's love. 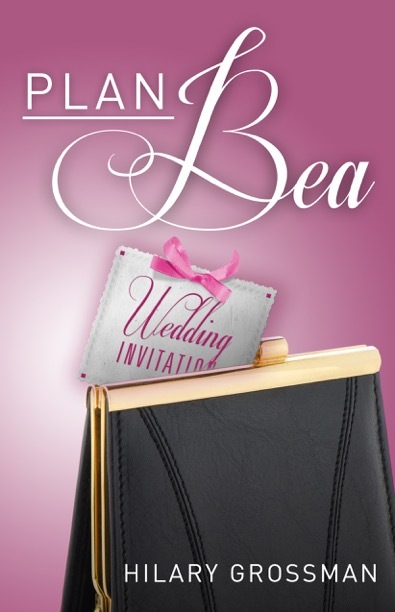 When Bea begs her daughter to help plan her wedding, Annabel reluctantly agrees. Little does she know the impact of her decision or the surprise that is in store for her! This emotional and honest women's contemporary fiction novel will tug at your heartstrings and the twist ending will shock you. Thank you so much for inviting me over to "chat"